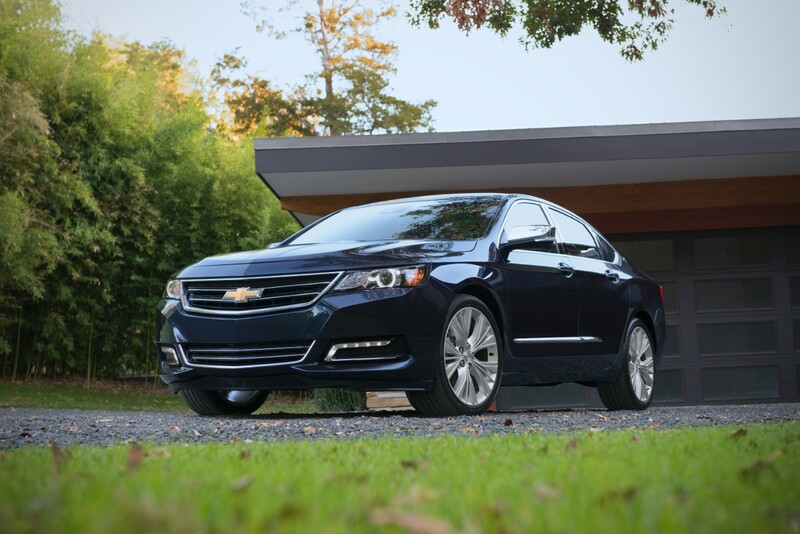 The 2014 Chevy Impala marked a complete redesign for the model once criticized for being nothing more than your average rental car. The redesign for the Impala worked, with the model reclaiming lost ground and winning over the hearts of previously negative reviewers. Chevy hopes to continue this trend with the all-new 2015 model. Luckily, the Bowtie Brand has nothing to worry about, based on the updates for the 2015 Chevy Impala. For starters, the 2015 Impala will be getting four new exterior color options while only losing three. New for the Impala are the Autumn Bronze Metallic, Blue Velvet Metallic, Iridescent Pearl Tricoat, and Rainforest Green hues, while we’re be bidding farewell to the Blue Ray Metallic, Blue Topaz Metallic, and White Diamond Tricoat colors. We’ll also being seeing the last of the Eco “mild hybrid” model, but with good reason: the 2015 model with the base 2.5-liter engine will come standard with Stop-Start technology for improved efficiency. The Impala will also get a six-speed MHG automatic transmission instead of the six-speed MH7 automatic, though it is not clear what this change entails. No longer will drivers be able to delete SiriusXM Satellite Radio or the OnStar telematics system, but the 2015 Impala will add on OnStar Generation 10 Hardware, which includes, of course, OnStar 4G LTE with Wi-Fi hotspot. In addition, the Impala gets an air conditioning system with a humidity sensor and Compressed Natural Gas models in the 2FL and 3LT equipment groups.